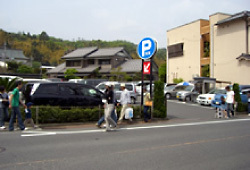 There is our own parking lot as well as other private lots in Amanohashidate area. Those spots are enough to accommodate the demand so you may park any lot that is suitable to your trip. 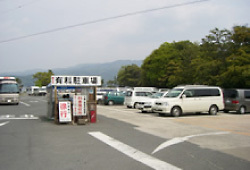 The best parking lot for Chionji-temple and beach visitors. It is next to Chion-ji temple. Free rest room available. You will see many parking lot sign boards everywhere. You will see them not only by the main street but also by the back street. You may find 500 yen parking lots. 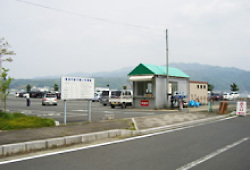 Go along the Route 178 from the station to the direction of Iwataki-town for 500m. *These are the minimum times when you take Shinkansen or Express. These may change depending on the train you take, and seasons. Amanohashidate rental car is in front of the Amanohashidate station. Feel free to use them.